As the deadline to file taxes looms near, Westfield homeowners look for ways to alleviate some of their tax burdens. Westfield home values have steadily risen over the last few years. Many Westfield homeowners took out a home equity loan for various projects and expenses. Did you? If so, you might be able to write off the interest paid on that loan. 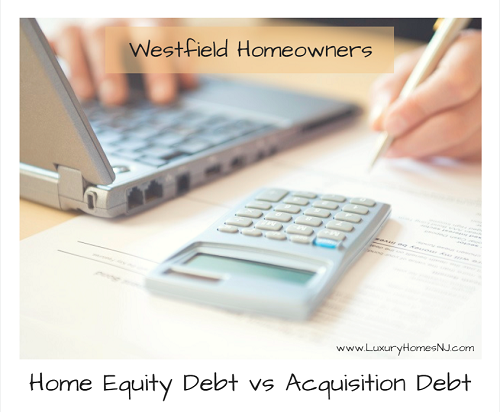 However, you’ll need to know the difference between home equity debt and acquisition debt first. The IRS treats these loans very differently. When home values go up, Westfield homeowners utilize their newfound equity for a wide variety of reasons. One of your kids started college. Another one’s getting married. You want to take a once-in-a-lifetime vacation. You’re interested in starting a new business. All of these require money to finance. When you use money from your home equity loan or home equity line of credit (HELOC) for any of these, the interest you pay is not tax deductible. This is also true when you refinance. Let’s say your mortgage loan balance is $500,000. You decide to refinance your loan for $575,000 and use the extra $75,000 for one of the situations described above. The interest paid on that $75,000 cannot be deducted from your taxes. On the other hand, interest paid on acquisition debt can be tax deductible. Need to renovate your kitchen to bring it into the 21st century? Want to build a swimming pool in the backyard? Interested in adding a mother-in-law suite to your home? Use your home’s equity to increase your home’s value. That’s acquisition debt. Anytime you use your equity to improve your Westfield home, you can write off some if not all of the interest. In 2017, interest paid on up to $1.1 million in combined mortgage debt was deductible. The new tax law for 2018 lowers that limit to $750,000. That includes both your initial mortgage and your equity loan. 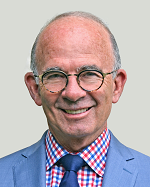 I am not a tax expert. You’ll need to discuss your options with your CPA, accountant, or tax attorney before filing. They should be able to guide you in the right direction.